DARTMOOR WALKS & ELECTRIC BIKES: Explore Dartmoor National Park on foot or on a top-quality electric bike -- or both. We offer guided tours, designed to suit you, that start from a variety of locations on Dartmoor and last a full or half day. 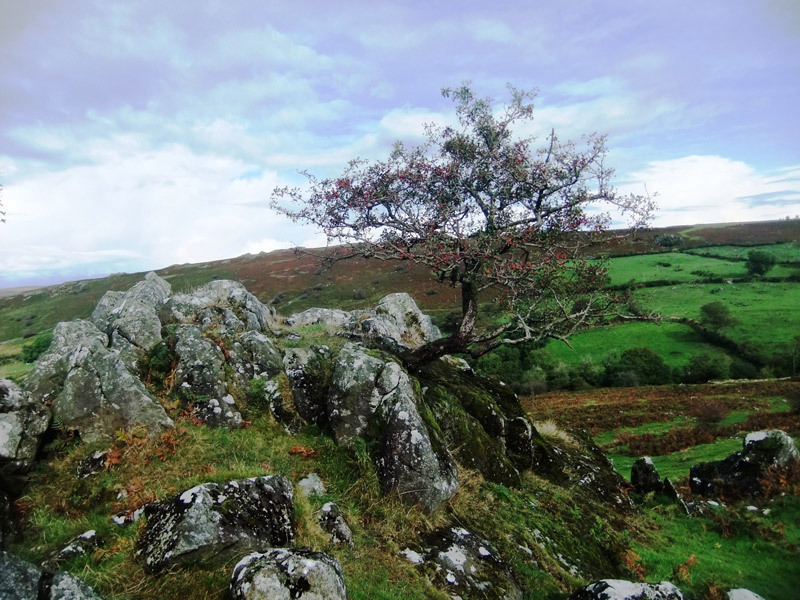 Guided Walks: You don’t have to hike for miles over rugged ground to enjoy quiet beautiful areas that capture the magical essence of Dartmoor. We can help you find them! 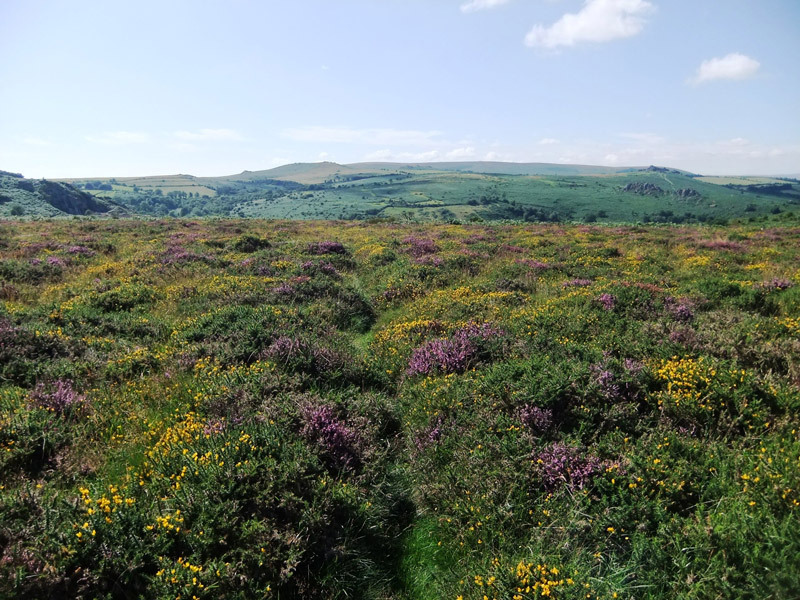 Based on our extensive knowledge of local footpaths and landscapes, we will design a walk that suits your energy levels and introduces you to hidden beautiful parts of the moor. View our sample walks here. If you live locally, you may want to join our regular walks that take place on Sundays and Wednesdays - more info here. If you're wondering what the point of having a guide is, this will explain what's involved in planning and leading a Dartmoor walk. Guided Electric Bike Tours: Or, if you want to see more of the area and enjoy cycling, we can offer you a half-day or full-day e-bike tour which goes along quiet lanes and through some of Dartmoor’s loveliest scenery, with time to stop and explore away from the road. Our high-quality German electric bikes make cycling accessible and enjoyable even on Dartmoor’s steep hills. View our sample rides here. 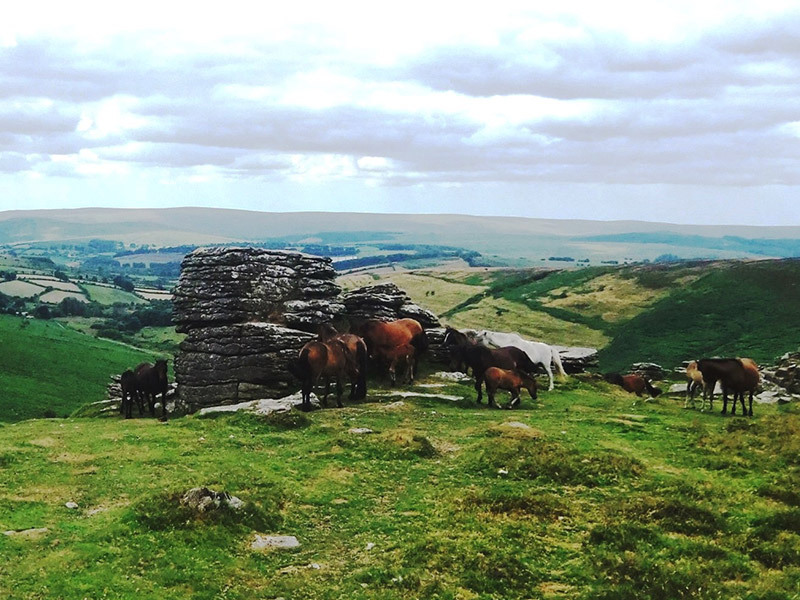 Hike & Bike: Combine a half-day e-bike tour with a half-day walk for an unforgettable all-day experience of Dartmoor that covers many miles and takes you to magical hidden corners. Whether it’s a gentle 4-mile walk for a family outing, a 9-mile exploration of remote Bronze Age remains, or a 20-mile cycle tour of the high moors and hidden valleys, Dartmoor Walks & Rides This Way will plan the route to meet your needs and interests, and provide a guide to accompany you. If you’re without a car, this is the best way to explore the real Dartmoor! Transport onto the moor for walks can be provided at no extra charge from Ashburton, which is readily accessible by bus from many parts of Devon: Exeter, Plymouth, Totnes, Paignton and Newton Abbot. E-bike tours start from a variety of locations including Ashburton, Poundsgate, Haytor, Postbridge and Tavistock. Other start points can be arranged to suit. 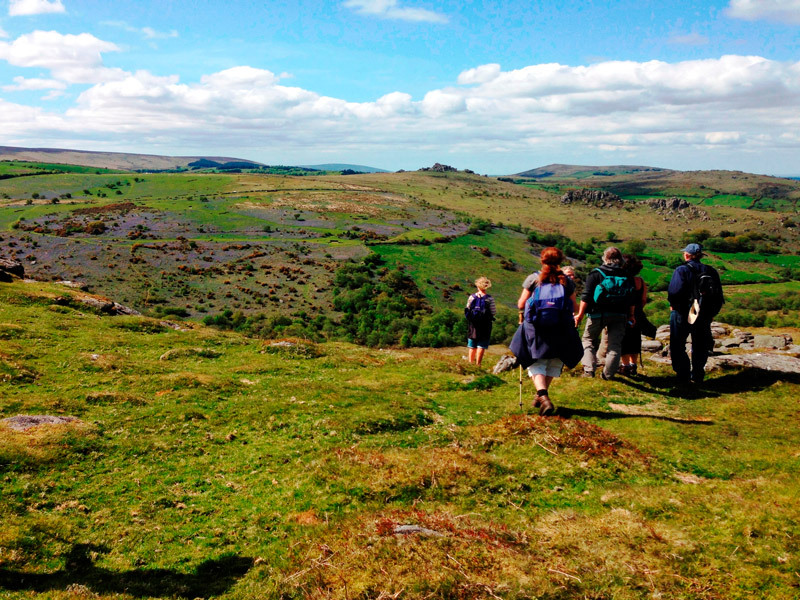 Read more here about why guided walks can help you get the most out of Dartmoor and here you can find a selection of comments from previous customers. VOUCHERS are available for guided walks and/or e-bike tours. Give someone the gift of a great Dartmoor experience!